Travel grants available to startup teams with a strong technology component and based in one of 10 U.S. states in the Southeast or Puerto Rico. The Georgia Institute of Technology’s I-Corps South and VentureLab programs are launching a new commercialization program that will provide $25,000 travel grants to technology startups. The program, enabled by a National Science Foundation (NSF) $350,000 supplemental award, will create a Small Business Innovation Research (SBIR) Phase Zero pilot workshop to help university and community-based teams commercialize their technology into startup companies. The funds will cover startup teams’ travel to the Phase Zero pilot workshop and a national NSF I-Corps cohort. Those funds also will cover travel related to the teams’ customer discovery efforts. VentureLab will manage the travel funds as part of its NSF I-Corps South grant. To be eligible, teams must come from Alabama, Arkansas, Florida, Georgia, Kentucky, Louisiana, Mississippi, North Carolina, South Carolina, Tennessee, or the U.S. island territory of Puerto Rico. VentureLab is Georgia Tech’s technology incubator and works with university faculty, staff, and students to evaluate their research and help them create startups based on those findings. I-Corps South strives to accelerate the development of the South’s entrepreneurial ecosystems. I-Corps South builds upon the foundation provided by Georgia Tech’s role as one of the initial three I-Corps Nodes. It is a collaborative effort that includes Georgia Tech, the University of Alabama in Tuscaloosa, the University of Alabama at Birmingham, and the University of Tennessee, Knoxville’s Haslam College of Business. Created in 2001 and ranked as the No. 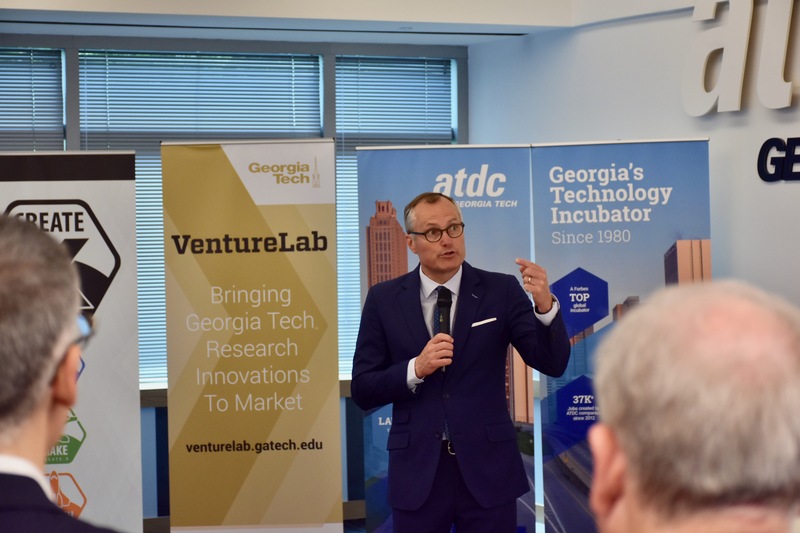 5 university startup incubator in North America, VentureLab is the Georgia Institute of Technology’s commercialization group that collaborates with faculty, researchers, and students to create startups based on Tech research. 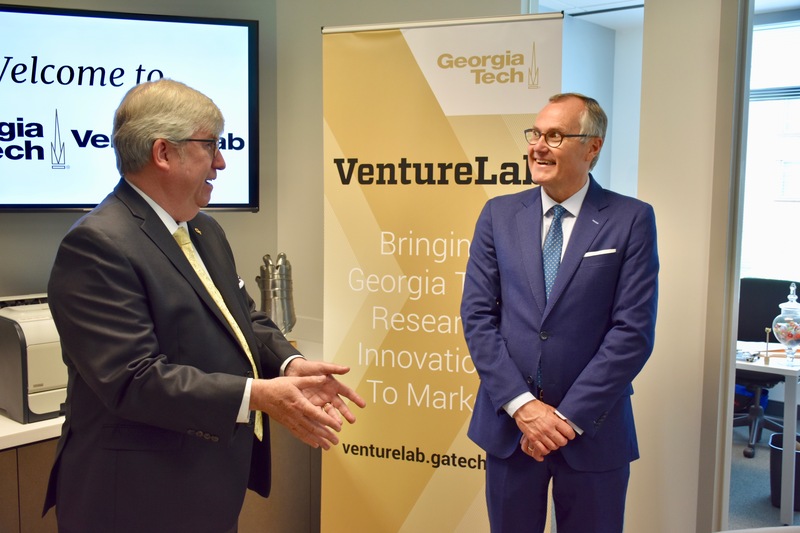 Using evidence-based entrepreneurship, VentureLab (housed within the Enterprise Innovation Institute — Georgia Tech’s economic development arm) has supported the launch of more than 300 startups. Combined, those startups have raised more than $1.5 billion in investments. For more information, visit venturelab.gatech.edu. The I-Corps South node is a partnership of the Georgia Institute of Technology, the University of Alabama at Tuscaloosa, the University of Alabama in Birmingham, and the University of Tennessee, Knoxville’s Haslam College of Business. Through this collaboration, the node has the potential to reach more than 500,000 graduate and undergraduate students, and many thousands of the nation’s research faculty at research universities and historically black colleges and universities across the Southeast and the U.S. island territory of Puerto Rico. 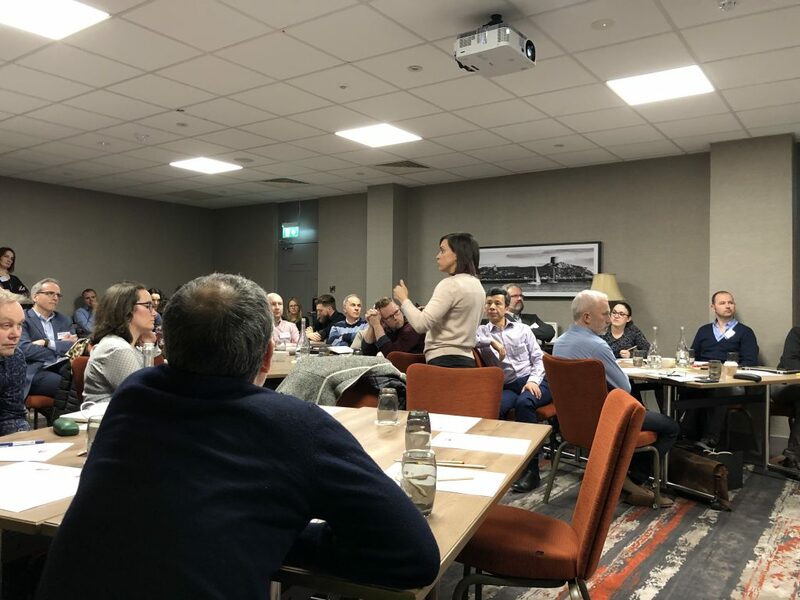 To entrepreneurs, I-Corps South seeks to provide consistent instruction on the principles of evidence-based entrepreneurship in the style of I-Corps. Instruction is direct and challenging, keeping in mind the goal of holding entrepreneurs accountable to know their customers. 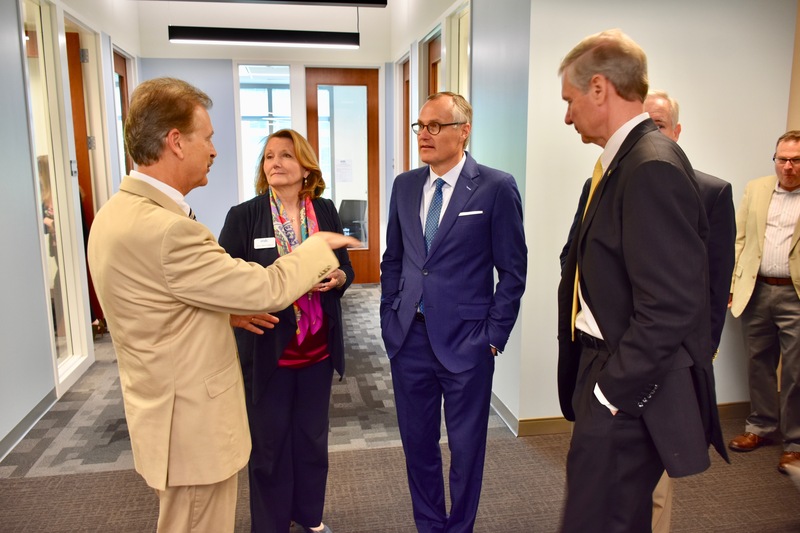 To universities, the node seeks to provide the tools, support, and resources required to launch and maintain high-quality evidence-based entrepreneurship programs across the southeast. For more information, visit icorpssouth.com. Funding to support I-Corps Sites teams formed from Georgia Tech research. 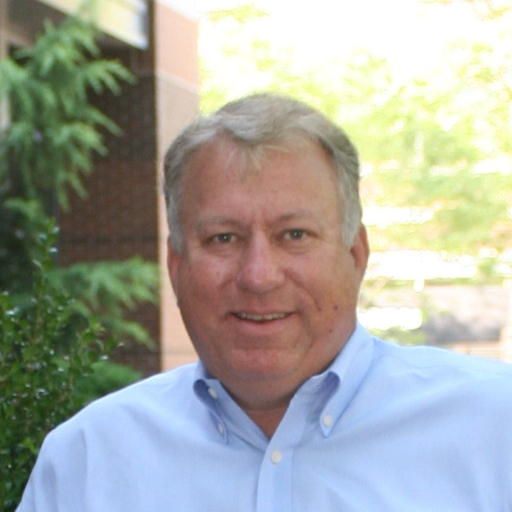 Paul Freet is VentureLab’s NSF I-Corps instructor. The National Science Foundation (NSF) has named the Georgia Institute of Technology an Innovation Corps (I-Corps) Site — and awarded it a $500,000 grant to help Institute-based research teams identify and interview target customer audiences. 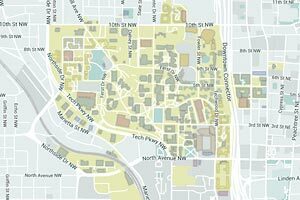 The grant, spread over five years, will be managed by Tech’s VentureLab program. VentureLab is Georgia Tech’s incubator that works with Institute faculty, staff, and students to evaluate their research and help them create startups based on those findings. I-Corps Sites enable academic institutions to catalyze teams whose technology concepts are likely candidates for commercialization. It also provides infrastructure, advice, resources, networking opportunities, training, and funding to help researchers move from idea to commercialization. At Georgia Tech, the I-Corps Sites grant will support up to 150 research teams — comprised of Institute students, faculty, researchers, or staff — in their efforts to meet with and interview potential customers, said Paul Freet, VentureLab’s NSF I-Corps instructor. All I-Corps Sites teams are expected to conduct 20 customer interviews. To help teams accomplish that goal, Georgia Tech teams accepted into the program will be reimbursed with up to $3,000 for travel to visit customers or attend trade shows. Teams that complete the I-Corps Sites program also will have access to follow-on $50,000 I-Corps Team grants. 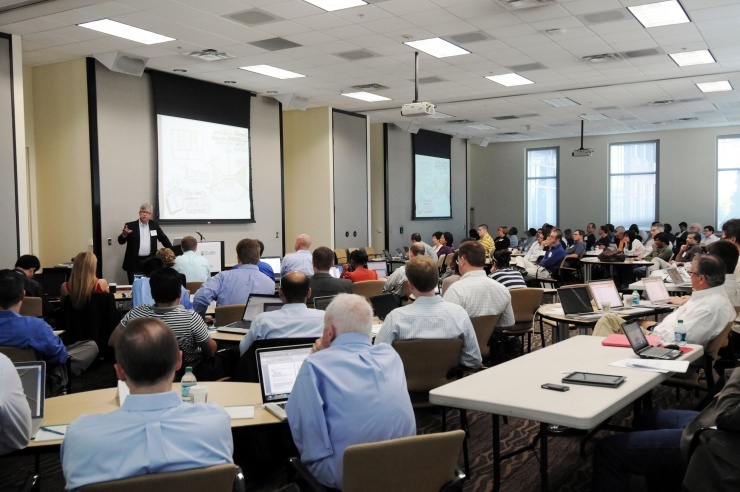 To date, Georgia Tech researchers have received more than 50 I-Corps Team grants. Created in 2001 and ranked as the No. 2 university startup incubator in the world, VentureLab is the Georgia Institute of Technology’s incubator whose mission is to collaborate with faculty, staff, and students to create startups based on Tech research. Using evidence-based entrepreneurship, VentureLab —a program of the Enterprise Innovation Institute, Tech’s chief economic development arm — has supported the launch of more than 300 startups. Combined, those startups have raised more than $1.5 billion in investments. For more information, visit venturelab.gatech.edu. Georgia Tech students will present their best cybersecurity research before a panel of venture capitalists and business leaders for a chance to win cash in the “Demo Day Finale” on April 13 at the Klaus Advanced Computing Building, KACB #1116 E-W, 266 Ferst Drive, Atlanta, Ga. 30332. (RSVP here: http://cyber.gatech.edu/demo-day ). Five student teams representing the School of Computer Science and School of Electrical Computing and Engineering are polishing their presentations now to deliver TED-style talks before business leaders with tech investment experience in the southeastern Untied States, Europe, and Middle East. Research with the best chance of commercialization or demonstrating the most impact toward resolving an industry need receives a cash prize – up to $7,000. Demo Day Finale judges include Georgia Tech commercialization catalysts Jeff Garbers and Harold Solomon of VentureLab, and Thiago Olson of the Advanced Technology Development Center. Work to be presented includes new cryptographic search methods, a malware detection method for IoT or embedded devices, protections for industrial control systems, spectral profiling for catching malware activity, and a model for software engineering policy requirements. Musheer Ahmed, (left) founder of FraudScope, which won the 2016 Demo Day Finale. 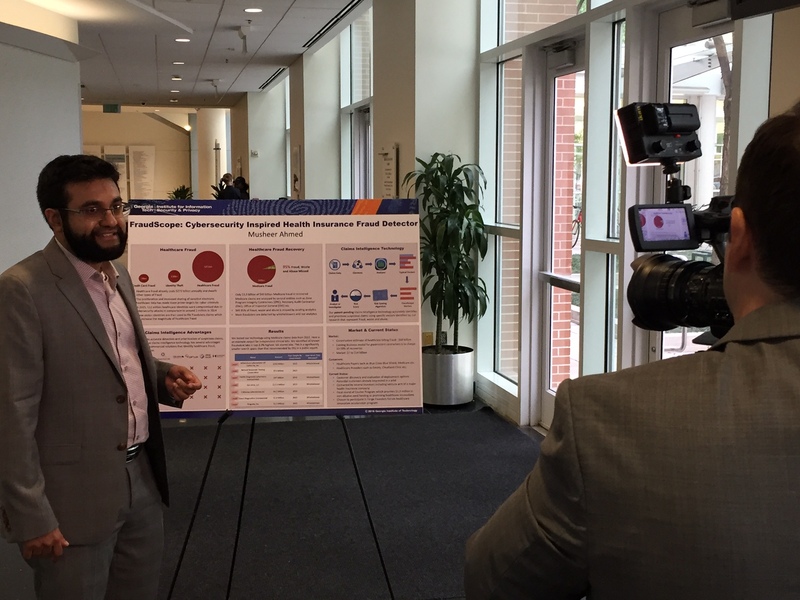 For last year’s inaugural winner – Musheer Ahmed – the event was a springboard to successfully launch FraudScope, a healthcare fraud detection system based upon algorithms he developed as a Ph.D. student. After winning Demo Day Finale, Ahmed went on to collect more than $400,000 in seed funding in less than three months. He won the Atlanta Start-up Battle, the Technology Association of Georgia’s Biz Launch Competition, and more. The quick success allowed him to invest in a better user interface design, hire staff, and begin marketing his product at health and technology industry tradeshows. The Demo Day Finale is hosted by the Institute for Information Security & Privacy (IISP) and aims to give students an early introduction to potential investors as they continue their research or if they are ready to move it to market. While Ahmed was eager to launch his business as soon as possible, ID for Web, last year’s second place winners, used the experience to get an early “gut” reaction from business investors as they try to create a more secure form of identity validation online. ID for Web’s Demo Day presentation led to an invitation from startup accelerator “CyberLaunch,” where they spent summer 2016 discovering the best application of their technology by talking to both potential customers and potential investors. Judges on April 13 will include investors Jeff Garbers and Harold Solomon of Venture Lab, and Thiago Olson of ATDC. Jeffrey Whalen, co-founder of FullScaleNANO, accepting the TechConnect Innovation Award at the TechConnect World Innovation Conference & Expo May 22-25 in Washington, D.C.
FullScaleNANO, an early-stage company that automates nanomaterial imaging and measurement and a VentureLab portfolio startup, received the TechConnect Innovation Award at the TechConnect World Innovation Conference & Expo May 22-25 in Washington, D.C.
NanoMet’s technology was developed at Georgia Tech by Chin-Hui Lee, co-founder and a professor in Georgia Techn’s School of Electrical and Computer Engineering. The company also joined VentureLab, the incubator at Georgia Tech for startups created by faculty, students, and staff. VentureLab works with those startups to help them commercialize research into viable companies. The company is headquartered in Tallahassee, Florida, but its software development team hub is in Atlanta. The TechConnect Innovation Awards identify the top 15 percent of submitted technologies. Innovation rankings are based on the potential positive impact of the technology on a specific industry sector. Submissions come from global academic technology transfer offices, early-stage companies, small business innovative research awardees, and government and corporate research laboratories. 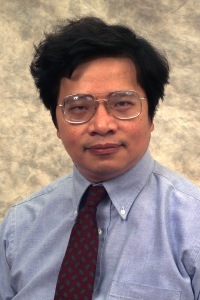 Chin-Hui Lee, co-founder of FullScaleNANO, is a professor at the Georgia Institute of Technology’s School of Electrical and Computer Engineering. 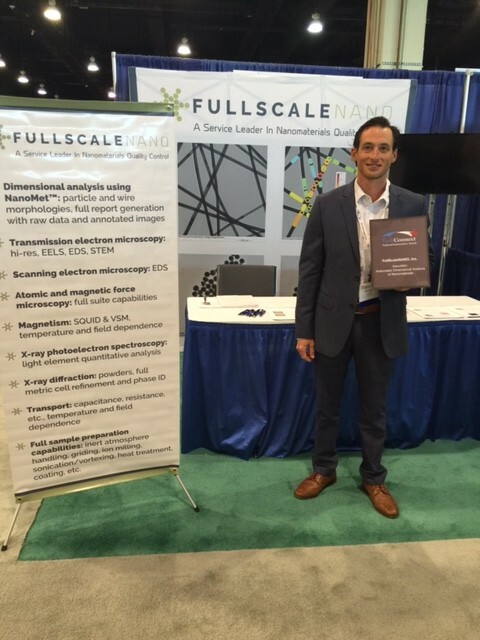 FullScaleNANO won for its NanoMet automated nanomaterials software that measures and characterizes thousands of nanomaterials in seconds. “We are honored to receive this award that recognizes our innovative approach to measuring and characterizing nanomaterials, essential particles that are used in today’s product innovations, from medicine to manufacturing,” said Jeffrey Whalen, CEO and co-founder. Nanomaterials are tiny particles that can’t be seen with the naked eye. The only way they can be viewed is by taking pictures with an electron microscope that contains a built-in camera. Measuring and characterizing these images is a slow, manual process — done one by one using a ruler — that takes hours, Whalen said. NanoMet speeds up the task, using an automated system that processes images in seconds, takes thousands of measurements and provides objective quality assurance, enabling a shorter time to market. NanoMet “sees” every individual pixel in an electron microscope image to properly identify the exact edges of nanomaterials, providing a repeatable process that saves time and money. Nanomaterials are used or being evaluated in a variety of products from batteries to shampoos and in a number of industries from food and medicine to electronics and the environment. In medicine alone, applications being developed for nanoparticles include delivery of chemotherapy drugs directly to cancer tumors, resetting the immune system to prevent autoimmune diseases, and delivering drugs to damaged regions of arteries to fight cardiovascular disease. Other industry uses include producing hydrogen from water, reducing the cost of producing fuel cells and solar cells, and cleaning up oil spills, water pollution, and air pollution. It used to be corporate research and development was always done in-house and inside labs bunkered away from other units within a company and far away from competitors. Now, that approach is no longer ideal. The new model, according to a report in the Harvard Business Review, is what the Georgia Institute of Technology, along with its partners, has created with Technology Square, home to 12 corporate innovation centers, including Home Depot, Coca-Cola Enterprises, and Delta Air Lines. “What’s driving companies to relocate near urban universities is the changing role of innovation within the private sector as firms are increasingly relying on external sources to support technology development,” the report’s authors, Scott Andes and Bruce J. Katz, conclude. Andes is senior policy analyst and associate fellow of the Anne T. and Robert M. Bass Initiative on Innovation and Placemaking at the Brookings Institution, a Washington-based, non-profit public policy think tank. Katz is the Brookings Institution’s inaugural centennial scholar. Tech Square and the surrounding Midtown neighborhood offer what major corporations seek: proximity to a major research university and various cultural among social amenities, as well as an atmosphere that fosters collaboration, and making connections between startups clustered in the are and the large corporate firms. The authors also note that Georgia Tech is particularly successful in drawing corporate innovation centers because the Institute also focuses on bringing research to market and commercializing ideas into actual companies. Raghupathy Sivakumar, StarMobile’s co-founder and chief technology officer. StarMobile, a leading codeless, cloud-based solution centered on faster, simpler, and lower-cost delivery of enterprise mobility, has been awarded a $500,000 Phase IIB Small Business Innovation Research (SBIR) grant from the National Science Foundation (NSF). The startup, which is incubating in Georgia Tech’s Advanced Technology Development Center’s (ATDC) Signature program, said it will continue its work toward enabling rapid mobilization of enterprise applications. 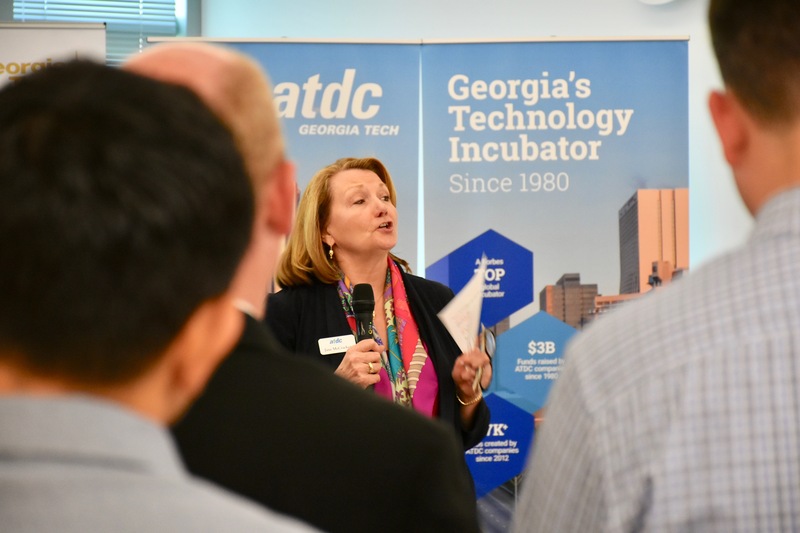 ATDC works with entrepreneurs looking to build successful technologies in Georgia. StarMobile also is a graduate of Tech’s VentureLab startup incubator, ranked No. 2 in North America. VentureLab, a sister incubation program to ATDC in Tech’s Enterprise Innovation Institute (EI2), works with Georgia Tech faculty, students, and staff to help them validate and commercialize their research and ideas into viable companies. Raghupathy Sivakumar, StarMobile’s co-founder and chief technology officer, is a telecommunications, computer systems, and software professor at Georgia Tech and the Wayne J. Holman Chair in Tech’s School of Electrical and Computer Engineering. The award is based on progress in product, market, and business model validation under a $750,000 NSF SBIR Phase II grant awarded to StarMobile in 2013, and research conducted under a $150,000 NSF SBIR Phase I grant awarded to StarMobile in 2012. StarMobile has now received a total of $1.4 million in grant awards from the NSF SBIR program as part of their efforts to foster innovative technologies. The NSF Small Business Innovation Research/Small Business Technology Transfer (SBIR/STTR) program seeks to transform scientific discovery into societal and economic benefit by catalyzing private sector commercialization of technological innovations. The program increases the incentive and opportunity for startups and small businesses to undertake cutting-edge, high-quality scientific research and development. NSF SBIR/STTR grants not only address research and development funding, they also give recipients training in key business areas. Grant awardees also receive mentorship from program directors who have extensive industry experience. The NSF SBIR/STTR program awards funds in every area of science and engineering. The National Science Foundation (NSF) awarded Zyrobotics a $750,000 Small Business Innovation Research (SBIR) Phase II grant that continues the startup’s work in developing an accessible educational platform for children with special needs. 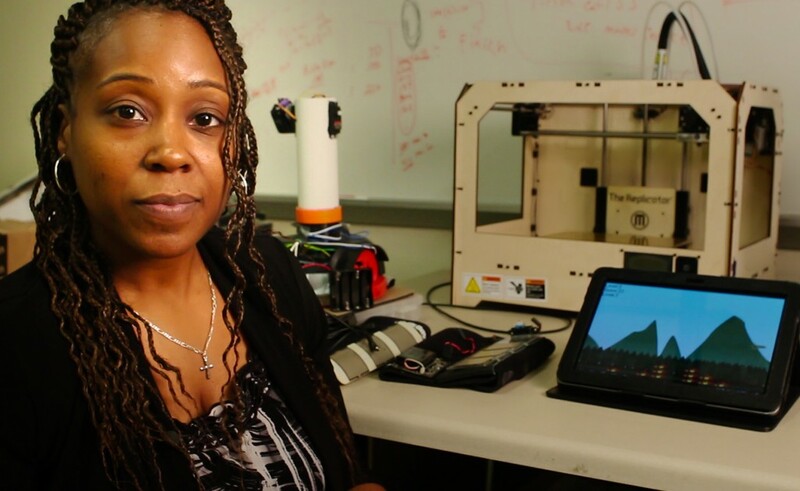 Launched in September 2013 by Ayanna Howard, the Linda J. and Mark C. Smith Chair professor in the Georgia Institute of Technology’s School of Electrical and Computer Engineering, the company is commercializing assistive technology that enables children with limited mobility to operate tablet computers, smartphones, toys, gaming apps, and interactive robots. Specifically, the Phase II project aims to focus on the development of an accessible educational platform that combines mobile interfaces and adaptive educational tablet applications (apps) to support the requirements of children with special needs. While tablet devices have given those children an interactive experience that has revolutionized their learning, in its proposal, Zyrobotics notes that while some tablet devices are intuitive in use and easy for lots of kids, those with disabilities are largely overlooked due to difficulties in effecting pinch-and-swipe gestures. In this next phase, Howard and her team plan to design accessible math apps geared to children with or without disabilities in kindergarten through 12th grade. The company also plans to design another set of apps that adapt educational content and provide feedback to parents and teachers based on real-time analytics. The company says it sees ample market opportunity for its products both domestically and abroad. Here in the United States, children with disabilities are entitled to a free and appropriate public education, and Zyrobotics sees its products as addressing that need from both a commercial and societal standpoint. Worldwide, more than 93 million children live with a disability. When founded, the company went through Georgia Tech’s VentureLab startup incubator, ranked No. 2 in North America. VentureLab, a unit of Tech’s Enterprise Innovation Institute (EI2), works with Georgia Tech faculty, students, and staff to help them validate and commercialize their research and ideas into viable companies. Zyrobotics is now part of Tech’s Advanced Technology Development Center (ATDC), a sister startup incubator program that serves all of Georgia. Zyrobotics, with the help of ATDC’s SBIR program, was able to receive its Phase I award in 2015, laying the groundwork for the Phase II grant.